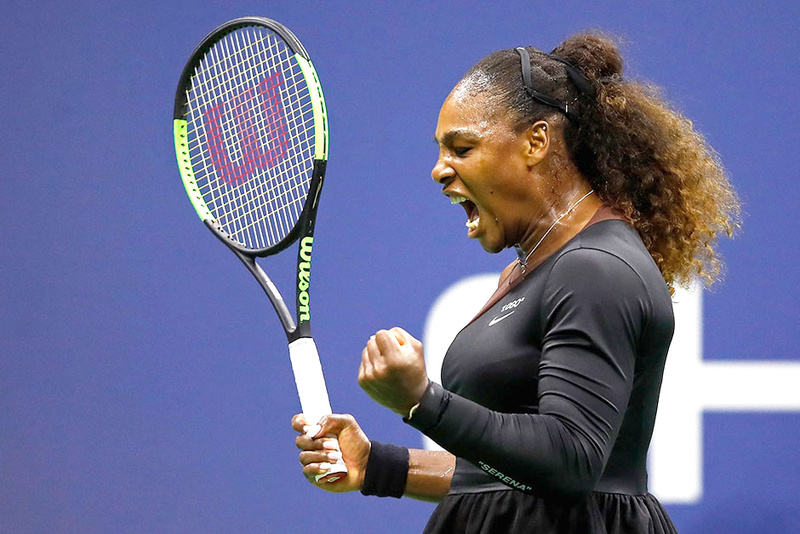 New York: Serena Williams made a triumphant return to the US Open on Monday, launching her bid for a record-equalling 24th Grand Slam victory with a straight-sets win as top-seeded Simona Halep made dubious history with a first-round exit. Williams, who counts six US Open titles among her 23 Grand Slams, can match Margaret Court's all-time record of 24 majors with another title at Flushing Meadows. She missed last year's edition as she gave birth to daughter Olympia on September 1, but showed every indication she's ready to make up for lost time in a 6-4, 6-0 victory over Poland's Magda Linette. "I love opening for Serena Williams," Grammy-winning singer-song writer Kelly Clarkson told the crowd before she launched into her anthem Stronger. It was the kind of Grand Slam history Halep could have done without as she tried to expunge the memory of her first round loss to Maria Sharapova at Flushing Meadows last year. The Estonian fired 26 winners to Halep's nine, cutting the rallies short and remorselessly punishing Halep's second serve. "I thought I just have to be aggressive and try to stay calm," said Kanepi, whose run to the quarter-finals last year is just one of her six trips to the last eight in majors. As Halep pondered why she has been unable to produce her best tennis in New York - a semi-final run in 2015 notwithstanding - big-hitting Kanepi was feeling right at home in the Big Apple. "I love playing here in New York, I have always loved it," she said. "I like the atmosphere in the tournament and in the city. I like the weather - humid and hot." While Halep is no longer in her path, Williams could face another early test - a possible third-round clash with 16th-seeded sister Venus.